A majority of horse owners and caregivers surveyed in a study believe horses have full capacity to feel pain, fear and joy. A significant number also felt horses possessed full capacity to feel boredom and jealousy. Researchers from the Federal University of Santa Catarina in Brazil said that while some views expressed in the survey pointed to anthropomorphism -ascribing human characteristics to animals – others had support in scientific research. The study team, Maria Hötzel, Michele Vieira and Denise Leme, noticed that those who took part in the survey attributed more primary than secondary emotions to horses. The trio, whose findings are reported online in the Journal of Veterinary Behaviour, set out to explore the views of Brazilian horse owners and caretakers over horse sentience. 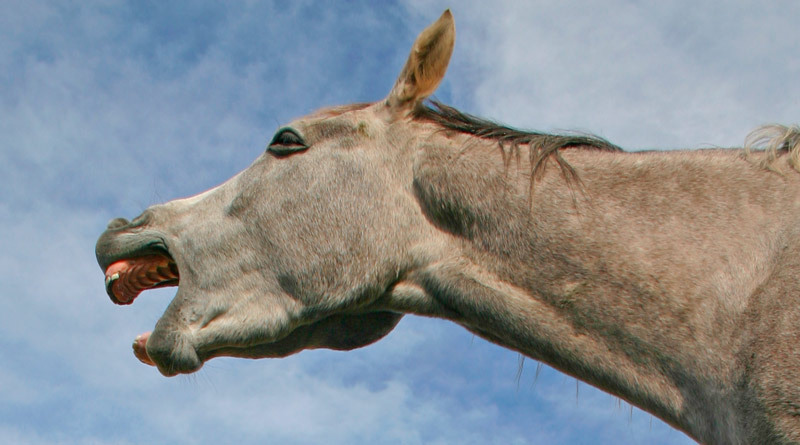 They sought to learn about the contexts or events that may elicit different equine emotions, and the behaviours they believed expressed these emotions. People were invited to take an online survey, which received national coverage. A total of 412 men and 275 women took part. Eighty-one percent identified themselves as horse owners, 8% as horse-riding instructors and 8% as horse centre administrators. There were also responses from veterinarians and animal scientists. Sixty-three percent considered themselves experienced in the equestrian world. Most believed that horses had full capacity to feel pain (94%), fear (92%) and joy (77%). Some felt that horses had full capacity to feel boredom (65%) and jealousy (41%). More women than men believed that horses expressed pain, jealousy, sadness, anxiety, and boredom. Those who were horse owners were more likely to believe that horses could feel jealousy than non-horse owners. The researchers said the attribution of emotional capacity to horses was based largely on participants’ experience with horses. They said that the lay understanding of horses’ emotional states and the situations that cause them could be used as a base for education programs to improve the welfare of horses.